The King's Head Bar + Grill is situated in the heart of Worcester. Neighbouring the Commandery, and just a stone's throw away from the Cathedral, The King's Head accommodates for all tastes and budgets. Deceptive from the outside, the interior provides a colourful and warm ambience which is comforting. Whether dining for breakfast, lunch or dinner, their friendly staff are approachable and will be glad to look after you and any requests or dietary requirements. They have a number of vegetarian dishes on the menu and they can cater for coeliacs' and people who are lactose intolerant. 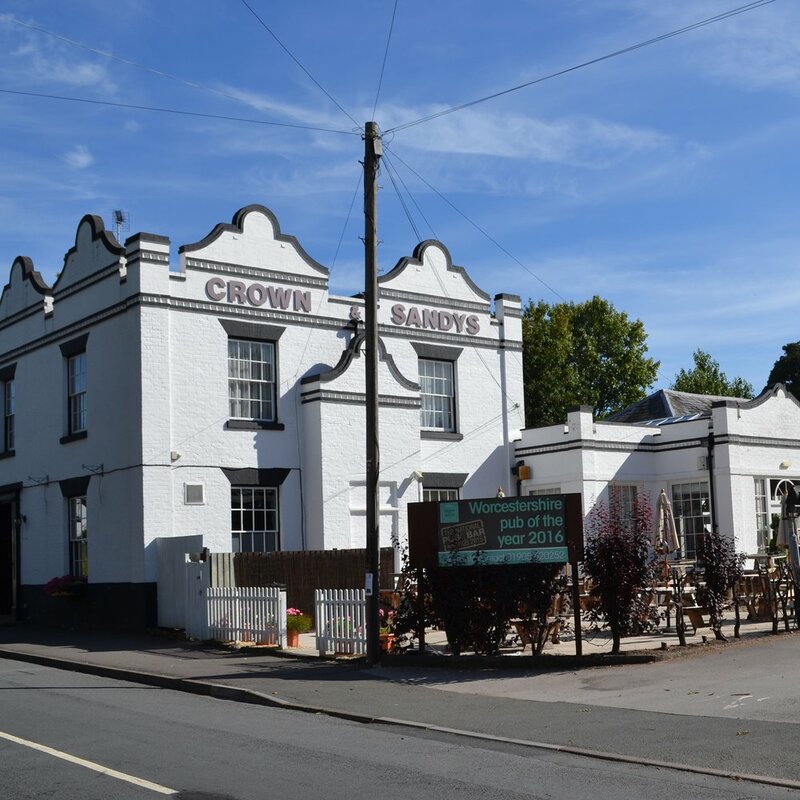 The Crown and Sandys is a large pub restaurant with a successful kitchen and front of house team, serving traditional British Fayre and locally sourced real ale, The Crown and Sandys is embedded in the heart of Omberseley, Worcestershire. A perfect venue for large parties; such as wedding receptions, birthdays, christenings and corporate events. We would love for you to come down and enjoy breakfast, lunch or dinner at the best pub in Worcestershire!